In his recent letter to investors, Pershing Square founder Bill Ackman revealed he bought $600 million worth of investments during the recent market volatility. One stock that garnered such capital was Citigroup (C). "In the second quarter, the share price of Citi and its peers declined primarily due to three concerns: (1) the requirement that systemically important financial institutions will need to hold additional capital (commonly referred to as the SIFI buffer), (2) concerns about exposure to potential losses resulting from the issues surrounding the troubled Eurozone sovereigns, and (3) worries about weakness in the U.S. economy." In the brand new issue of our Hedge Fund Wisdom newsletter, we pointed out an interesting dichotomy between shares of two financial giants. While many funds like Paulson & Co and Appaloosa Management were selling shares of Bank of America (BAC) in the second quarter, numerous contrarians stepped up to buy Citigroup as shares tumbled. "Citi recently provided disclosure about its exposure to the troubled Eurozone sovereigns and the corporations and consumers that are domiciled within those countries. Based on this disclosure, we believe that Citi is adequately capitalized to withstand the losses that may result from adverse outcomes from the Greek and other Eurozone debt crises. On July 15 th , Citi reported its second quarter results which highlighted the growth in its emerging markets franchise, the continued improvement in credit costs, and further strengthening of its capital ratios. At current share price levels, Citi trades at less than five times our estimate of normalized EPS before including any benefit for the present value of excess capital and tax assets, and less than three times normalized EPS after including these benefits." We originally covered why Ackman bought Citigroup back in April 2010. At the time, they purchased shares at nearly 1.1x tangible book value. Ackman notes that now, "tangible book value has grown by nearly 20%, yet the Company's tangible book value multiple has declined to 0.6 times." Overall, the hedge fund thinks the bank has enough liquidity to weather the current economic environment. 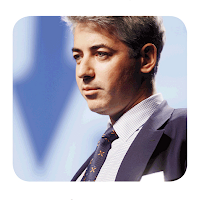 Ackman believes that C will command a higher multiple once market uncertainty declines. For more from Pershing Square, check out Ackman's purchase of $600 million worth of investments during August's volatility, as well as Ackman's hedging strategy.